There’s a place near here that has, in recent years, enjoyed a resurgence in its popularity – both in the exposure of its existence, and in the number of times its name is said aloud. I’m talking about Mudtown, a long-lost neighbourhood in Owen Sound on the East shore of the Bay, below the rock cliffs and amid the muck and runoff of spring rains. Rob Rolfe isn’t from Mudtown. No one really is anymore. It’s a geography belittled by time passed, dead industry and silenced cultures. In his book Beyond Mudtown, Rob’s third collection of poetry from Toronto publishing house, Quattro Books, he weaves in and out of steamship decks, late night bets and fishing nets – passing through locales like seedy bars, butternut groves, brothels and burial grounds while bringing to light the assumed, inner-most thoughts of a forgotten population, brought together by dirt and misfortune. There’s a lot to consider when flipping through the pages; there aren’t many letters on each one, and frankly that’s a good thing – you’ll need the free time to stop and think about what you’ve just read before you can even consider turning to a new stanza. And when you think you’ve deciphered the pattern in his words, you’re pushed back and kept at arm’s length. The book picks a fight with you. Rolfe makes you work to reap the benefits of learning the secrets of each pages’ character. There’s a certain strained quality to Beyond Mudtown. It’s like trying to fathom the mindset of your new step-father – you never know what it really thinks – it’s right there, ironically just beyond you as a reader. It demands respect – and if you want to receive it, you’ve gotta give it first. And when you break through – you find yourself completely immersed in the story; you can feel your boots sticking in the mud. You can feel the burning sensation in your muscles when you read about Joe Couture hauling deadweight up the St. Mary’s hill. You can sense the otherworldliness of peacefully coming to terms with your own death, trapped below the deck of a sinking ship. You remember the day you were left alone to clean your first fish. You become a citizen of Mudtown. That’s the rub – the neighbourhood isn’t dead, not to Rob Rolfe. It’s a simple matter of watching where you step, and listening to the stories that only landscape can tell. 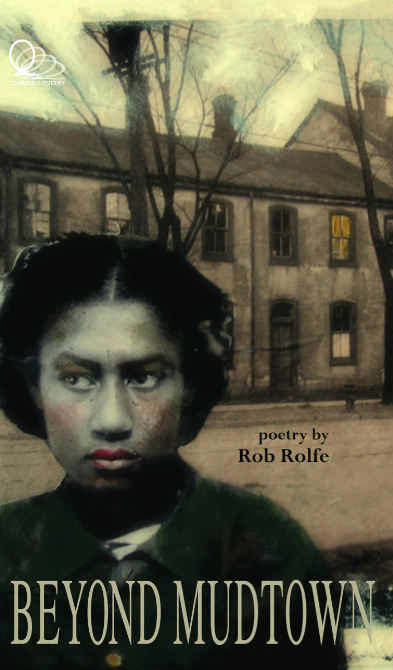 Rob Rolfe is the guardian of Mudtown, and his book is an invitation to visit the places only he can see.